Grousing grinches be darned, long-standing New York Yankees shortstop, and future Hall of Famer, Derek Jeter, played his last home game on Thursday night, and it turned out to be quite the show. Those of us who are not sports fans know quite a few luxuries. 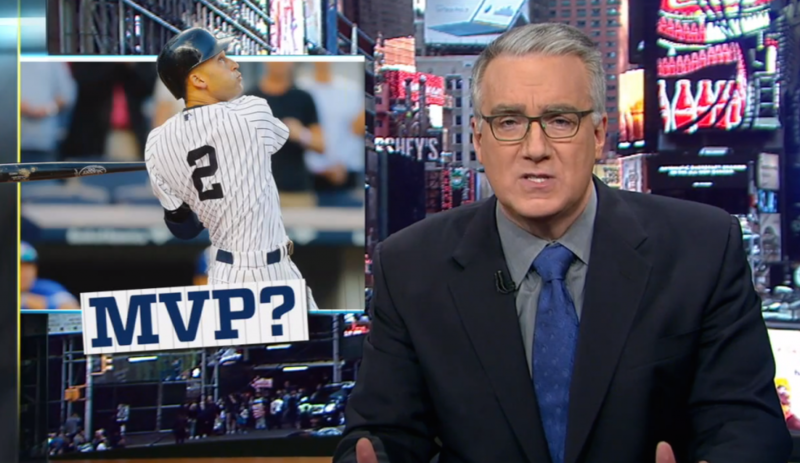 Chief among these are that we are not required to have any sort of opinion on Derek Jeter, and that we can pretty much forget altogether — if so inclined — that Keith Olbermann ever existed; his 2008 media moment now a distant memory. Legendary New York Yankees shortstop and future Hall of Famer, Derek Jeter, is nearing the end of his farewell season.